I was just looking at my keyboard (Logitech K200) for the millionth time and realized that the names of each key were "mostly" in the top left. The row of numbers at the top is just left aligned with the shift versions above the regular versions (make sense). Normally I would just call this a bit weird and move on. However, I then noticed that not all of the keys are left aligned! My media keys (sound control, calculator, mail, etc.) have centered pictoral representations. The "Print Screen", and "Pause/Break" keys are all center aligned along with the 6 keys in the "page navigation" block. Oddly enough, "Caps Lock" is left aligned while "Num Lock" and "Scroll Lock" are centered. I realize that this might be different for various keyboards so I went searching throughout my house for various other keyboards. The HP Chromebook I just bought has most of the key names centered. However, "tab", "caps lock", and left "shift" are left aligned (with "backspace, "enter", and right "shift" right aligned). An ancient IBM Thinkpad (not Lenovo) I scrounged up appears to be exclusively left aligned. 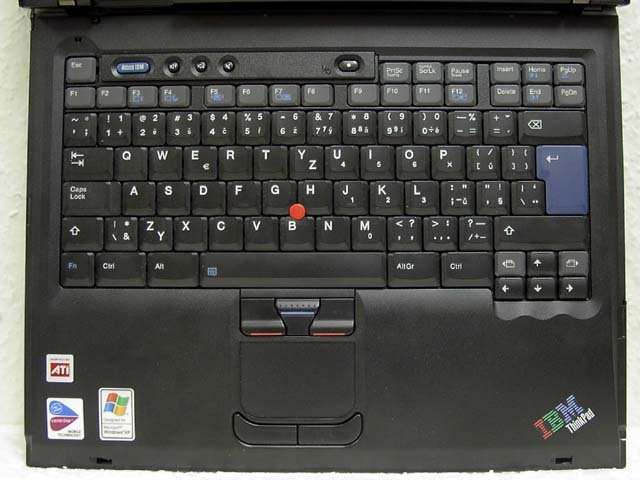 An older Dell Latitude D420 is almost all left aligned except for the arrow keys and "page up/down" keys. A newer Dell Studio XPS 15 is mostly left aligned but with arrow keys and function keys centered. Why? Is there a historical reason and nobody has bothered changing it (except for Google but I'm not surprised)? Have studies shown that the left corner is easier to see? Intuitively, I would have just stuck the symbols in the center of each key. It's actually due to ISO 9995. * Level 3 (“AltGr”) below Level 1 (“unshifted”). Additional groups (if existing) in between. When letters on a case pair are associated with a key, only the capital character need to be shown on the keytop for the primary group, while the lowercase character only is shown for the secondary group. Not sure if this is the reasoning but I assumed this was so you could still see which letter you're hovering over without moving your hand out the way. Another useful aspect of having them upper left aligned is the ability to put stickers for another alphabet on the keys - transparent stickers with, say, Cyrillic letters or Arabic letters on the bottom right corner allow you to switch between alphabets. Is it time to reevaluate what keys keyboards should have? Are there any studies which investigate the usage of Caps-Lock? Why is the “Shift” key below the home row and not on the bottom row? Why does the caps lock key have a down arrow as its icon? Why do modern keyboards have Scroll Lock?